Bring your family, friends, and come on out to celebrate the Fall harvest at the Oakley Harvest Festival. The City of Oakley will be hosting the 9th Annual Harvest Festival on October 21st, 2017 at Civic Center Plaza, located at 3231 Main Street in Oakley, CA. Admission and parking is FREE! Oakley Self Storage will have a booth at the event, so come by and say hello! 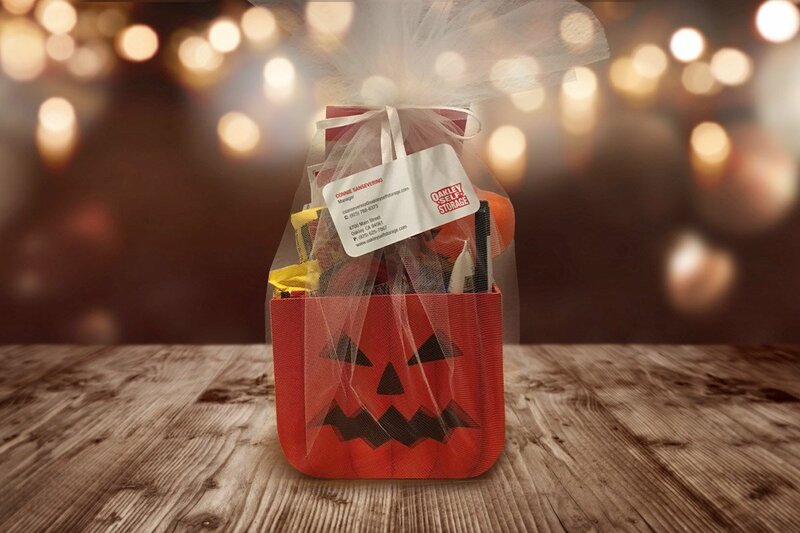 If you make a new reservation the day of the event, you will have a chance to win the Halloween basket featured in the photo and a chance to win a free 10x10 storage unit for 6 months! Harvest Festival activities include a costume parade through the park, along with the adorable canine costume parade. Families can bring a pre-carved or decorated pumpkin to enter into the pumpkin decorating contest. Black Bear Diner is donating all the pumpkin pies for the pie eating contest. There will be food, music, make-n-take craft projects and a children’s area with entertainment, crafts and jump houses in the amphitheater. For more information and vendor booth applications visit the City of Oakley website.